The largest number of feminicide cases were registered in the Municipalities of La Paz and Los Cabos, said the researcher in charge of the study. 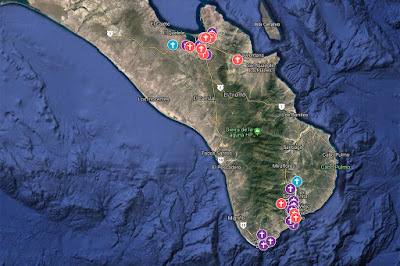 La Paz, Baja California Sur: According to an investigation carried out in relation to cases of feminicide throughout the country, it is estimated that 39 feminicides have been registered in Baja California Sur between 2016 and 2018, said researcher and activist María Salguedo . Based on police notes, in recent years an interactive map has been made that collects the violent deaths of women. Each murder is explained in the crime categories: age range, relationship of the victim with the murderer, status of the feminicide, ie crime solved or unslolved. Also addressed are characteristics such as the way in which women were murdered and the crime scene, the typification of femicide in each case, children in orphanage or identity to be confirmed. María Salguedo , using information from journalists and the media, scored 17 femicides in San José del Cabo , 4 in Cabo San Luca s and 18 in La Paz . However, only one of the cases has been recognized as femicide by the judicial authority, which occurred on September 27, when a subject killed his victim with a machete at an address in La Paz. 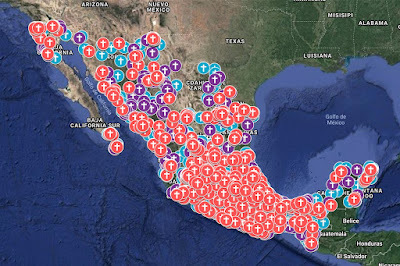 The activist started with a group of people who put together a map of disappearances from Felipe Calderón's 'War on Drugs'. "The disappearance is the preamble of feminicide. Just as the disappearances and intentional homicides increased, so were the feminicides, "said María Salguedo . The map reveals that so far in 2018, 1,165 women have been murdered in Mexico; a large number of these cases were by firearms, Salguedo added . "It is not specified when it comes to weapons for the exclusive use of the army, which has to do with organized crime and arms trafficking. Many women are killed because they had a kitchen, they worked in a market or they sold flowers and they did not pay the "piso", the extorsionist's fee. Many were forced to get involved with organized crime, or else it was their partners who were involved, " she concluded. The "me too" murder movement. Ladies trying to make a living selling flowers, and then have to pay extortionist money. Mexico is going down hill, thanks to the hoodlums, and government does nothing.